Wolf design engineers have product design expertise in mechanical, electrical, electro-mechanical, biomedical, optical and robotic systems. We can take your ideas from concept through production, or reverse engineer an existing product or re-engineer for cost reduction. We analyze your initial performance criteria, write design specifications, and design for functionality, cost and ease of manufacturing. We can develop applications or embedded software and create prototypes with our in-house machining and 3D printer capabilities. We can also write, design and implement validation and verification tests to deliver a product ready for manufacturing that meets or exceeds performance criteria. Wolf design engineers will take your ideas from concept through production. We will analyze your initial performance criteria, write design specifications, and design for functionality, cost and producibility. 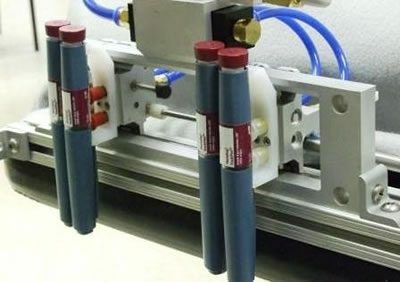 In addition, we can develop application or embedded software, develop prototypes, design and implement validation and verification tests and environmental tests, and deliver a manufacturable product that meets or exceeds performance criteria while minimizing the cost to achieve these performance criteria. 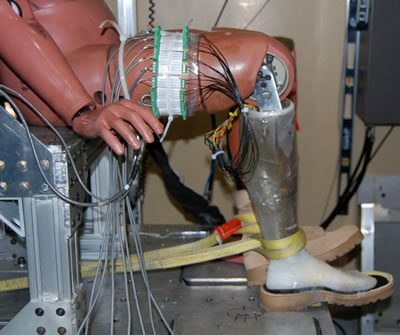 Wolf’s biomedical engineering staff specializes in designing devices that interact with the human body by integrating with or enhancing human function. Design expertise includes development of surrogate materials to replicate the mechanical properties of human tissue, such as bone, muscle, and skin. Our experience base also includes biomechatronics, in which sensors and electronics are designed to integrate with the human body. Wolf designs devices in consideration of human factors engineering, accounting for comfort and usability for the full anthropometric range of users. The Wolf staff also uses articulated total body modeling to analyze human body response to injury mechanisms, sudden motion inputs and force stressors. At Wolf we develop automated and instrumented equipment for testing our own and other companies’ products to system specifications. Using microprocessors, microcontrollers or programmable logic controllers, we can automate most mechanical and electromechanical systems to meet your requirements. We develop and document the embedded software and graphical user interfaces as well. 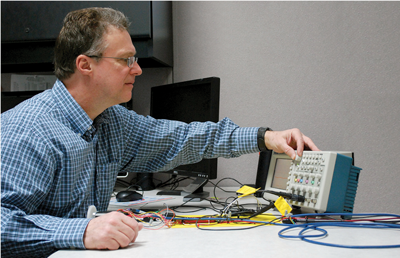 Wolf uses micro-electromechanical systems (MEMS) to instrument most any machine or process for data capture, logging and analysis, using accelerometers, rate gyros, barometric altimeters, magnetometers, GPS receivers, and custom data acquisition devices designed for your application by our engineers.